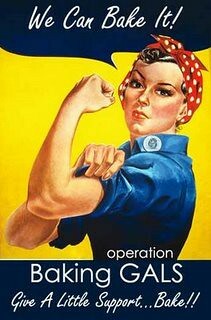 Operation Baking GALS (Give A Little Support) was started by fellow Daring Baker Susan of She's Becoming Doughmesstic back in July. She wanted to send some homemade baked goods to her cousin stationed in Iraq and asked for some volunteers to help her out. Little did she know the positive response she would receive from friends, family and fellow bloggers. So she decided to make this monthly event. Teams of 25 make care packages filled with baked goodies for a specific soldier and the soldier shares the goodies with his/her fellow troops. The kicker is that we all mail our packages at the same time so that they are bombarded with them all at once. You can read all about the operation on the website. For this third round of Operation Baking GALS I'm proud to be part of the team hosted by Fran of Apples Peaches Pumpkin Pie. Fran and the rest of the team are baking for Richard Martin of the 10th Mountain Division - Army Light Infantry. He mentioned to Fran that he will be sharing the care packages with a lot of soldiers so I wanted to fill my box with as much as I could. I've never sent anything to the Middle East before so I did some internet research to find out more about how best to do it. Even when using USPS priority mail, it could take up to 14 days for the package to arrive so I was a bit concerned about freshness. I don’t know if this is true or not, but I read that using vegetable shortening is better than using butter since the baked goods can stay fresh a bit longer with shortening. I'm not in the habit of buying shortening and was actually surprised by the cost. I usually pay around $2/pound for unsalted butter. The Crisco shortening cost me $3/pound. Why would a manufactured food like shortening cost more than a real food like butter? But I digress. There are some restrictions when sending packages to the Middle East. No pork products and no alcohol seem to be the most important things to know. So soaking cakes in booze to keep them fresh was out of the question. I even read somewhere that vanilla extract should be omitted from recipes because of the alcohol content. Other ladies mentioned that sending anything that can melt (like gummy candies or chocolate) is not advisable. But then I read on the Nestle website that chocolate chip morsels are okay if they are baked into a cookie or brownie. Of course I don’t know if I can believe Nestle since they are the maker of chocolate chips and they want us to buy and use as many chocolate chips as possible. 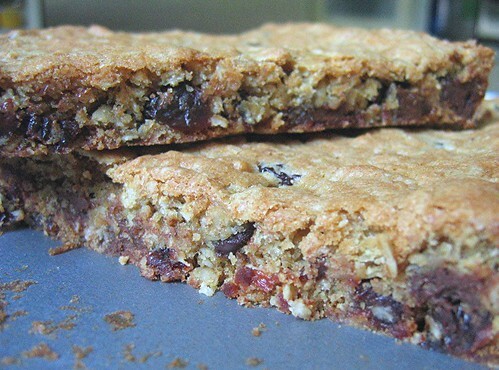 I decide to throw caution to the wind and make some cookies bars with chocolate chips. I figured if I wrapped them really well then the chocolate chips would be okay. My cookie bar recipe is based on this one from the Nestle website, but I made some modifications. I wanted to fit as much as possible into the flat rate shipping box, so I measured the disposable plastic container that I planned to place the wrapped cookie bars. 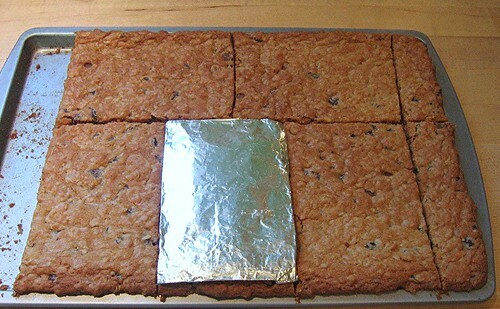 I made a 4x6 inch template out of foil and I cut the cookie bars to size. I was able to fit almost the whole pan's worth of cookie bars into my one plastic container. I also baked some snickerdoodles for the troops. I normally use an all butter recipe, but for the reason I mentioned above, I used an all shortening recipe this time. The snickerdoodles made with shortening tasted a bit more "old-fashioned" than the ones with all butter, but they were still really delicious (especially hot from the oven!). I just love that smell of warm cinnamon sugar. Yum. I was pretty amazed at how much I managed to fit in the flat rate 12x12x5 priority mail shipping box. I didn't have to use much padding or bubble wrap since all the food was packed well and jammed into the box tightly. The clerk at the post office was impressed that I could fit 11 pounds of goodies in the box. The contents: 3 dozen snickerdoodles, oatmeal chocolate chip cookie bars (five 4x6-inch pieces), 1 pound beef jerky, 2.5 pounds trail mix, instant oatmeal packets, tea bags and Jelly Belly jelly beans. I hope Richard and his fellow soldiers enjoy this small token of gratitude for their bravery and service. 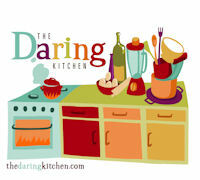 If you want to participate in the next round, please visit Operation Baking Gals for all the details. Preheat oven to 375F. Lightly grease cookie sheet pans or line with parchment paper. Whisk flour, baking powder, salt, cinnamon, cream of tartar in small mixer bowl to combine. Set aside. Beat shortening and sugar in large mixer bowl until creamy. Beat in eggs and vanilla. Add flour mixture and mix until combined. To make the coating, mix the sugar and cinnamon in a shallow bowl. Roll cookie dough into 3/4 inch balls. Roll the balls into the sugar-cinnamon coating and place them 2 inches apart on your prepared cookie sheet pans. Using the bottom of a glass, flatten each ball to about 1/2 inch thick. Bake at 375F for 8-10 minutes, or until they're just golden brown around the edges. Cool on a wire rack. Preheat oven to 375F. Butter and flour a 15x10x1-inch jelly roll pan (or line pan with parchment paper). Whisk flour, baking soda, salt and cinnamon in small mixer bowl to combine. Set aside. Beat shortening, sugar, and corn syrup in large mixer bowl until creamy. Beat in eggs, water and vanilla. Add flour mixture and beat until flour is barely incorporated. Mix in chocolate, oatmeal and dried cherries. Spread batter into your prepared pan. Bake for 18 to 20 minutes or until lightly browned. Cool completely in pan on wire rack before cutting into bars. FYI, the booze probably won't be a big deal if it's baked into something. I have regularly sent vodka disguised as mouth wash to friends living in Kuwait with no problems. Since I am a Marine myself, I can tell you that anything you send will be appreciated. As long as it hasn't molded or anything, the freshness factor isn't that big of a deal. They are just excited to get something homemade! Thanks for doing this...I just mailed off cookies to a friend in Iraq today. He is already looking forward to them! A great and thoughtful idea! Both the cookies and bars look scrumptious! im sooo glad you are back..! you cant imajine how happy i am ..! Great job on your yummy care package! I am wondering why you added corn syrup to your bar cookies? Does that make them more sturdy for shipping? I notice the original recipe does not call for it. Your blog was the first food blog I bookmarked...and like many other of your fans, I missed you when you were "off the air"...and would check daily to see if you were back! 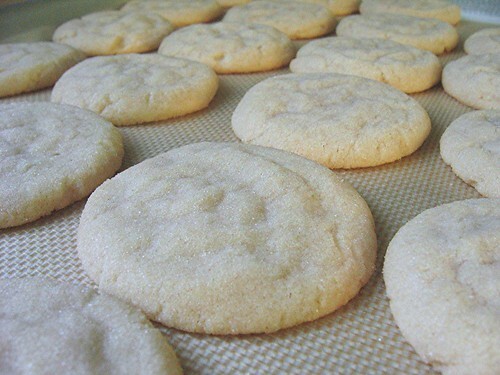 Tbtam - Nothing smells quite like snickerdoodles baking in the oven. One of my faves too! Sarah - I wasn't sure what the soldiers would think about stale cookies. Thanks for giving me the Marine perspective and a big thanks to you for serving our country. Roas - Thanks. It's the least I can do for the brave soldiers. Anonymous (9/30) - I'm glad to be back too. Thanks for the hugs. Connie - The corn syrup adds some moisture and helps keep cookies soft. Thanks for sticking with me even when I was off the air.